FC Locksmith offers the people of Etobicoke and Western Toronto an extensive locksmith service that’s not only professional and reliable, but also excellent value for money. We believe that from the very first time you use our services, you’ll never think of using another locksmith again. 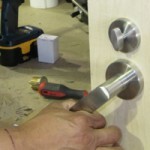 We have a team of locksmiths that can assist you with all traditional locksmith tasks. That means everything from key cutting to lock installation, repair or replacement. If you find yourself locked out of your home, workplace or vehicle, FC Locksmith can help you get back in, quickly and cleanly. You might expect us to take a drill to your lock, but in almost instances we are able to gain entry without resorting to such drastic measures. 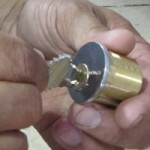 Our locksmiths are trained in lock-picking and also experts at finding ways in just when you thought all hope was lost. As well as helping with your ‘here and now’ problems, FC Locksmith offers Etobicoke residents and businesses a comprehensive security appraisal service. We can send an expert to your home or place of work to establish how secure your property is. They’ll check doors (including patio, garage and French doors) and windows to ensure all locks are in good working order, and can advise as to the best home defense devices (including alarms) available. If you think you’d benefit from any of these, we can arrange for them to be installed also. We provide a 24-hour emergency service 365 days a year so you can rest assured that we can help you whenever the need arises. If you live or work in Etobicoke or Western Toronto and need a locksmith fast, be sure to contact FC Locksmith.